As Chromebooks grow in popularity and use, there are many more accessories that are become available and common. Below is a list of some common Chromebook accessories that users might want to buy. Whether it is a Chromebook case, a special sleeve, or a Chromebook compatible harddrive, these items will make your Chromebook experience better. While you can enjoy your new Chromebook just fine from the get-go, there are a number of Chromebook accessories that can make the experience even better. Below are some of the most common Chromebook Accessories that people buy after getting their new Chromebooks! There are many ways to add Chromebook accessories. All Chromebooks have USB ports which is the most popular way to add extra features. Many, but not all, Chromebooks also have Bluetooth.Currently, mice and keyboards are the only Bluetooth devices supported by Chrome OS. This allow you to get different Bluetooth Chromebook accessories. Lastly, some Chromebook accessories such as printers connect directly over Wi-Fi. Overall, it is very easy to connect different devices to a Chromebook. Logitech has many options on connecting multiple devices to a Chromebook. With the Logitech unifying app for Chrome OS, you no longer need a different receiver for each device. There is Logitech Chromebook software that makes using multiple Bluetooth devices on a Chromebook easy. For this reason, it may make sense to stay within the Logitech family for certain Chromebook Bluetooth accessories. A Chromebook case or sleeve will protect the exterior of your Chromebook from dents or scratched. Chromebooks are sturdy machines, but having a good Chromebook case will extend the life of your Chromebook. Some Chromebook cases have handles and other hard. There are many different options in this space. Look at some of the best Chromebook cases here that will provide protection and style. Every Chromebook comes with a hard drive for local storage. Files saved locally are stored in the Downloads folder. You can also save to external storage media, such as an SD card or a USB flash drive. Chromebooks come with Google Drive, a built-in Google Cloud Storage service. 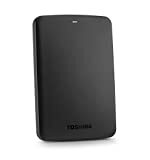 Some users might need more storage or want to backup the files on their Chromebook, then it might make sense to review some of the best external hard drives for Chromebooks. Chromebooks must print a little differently. For the best Google Cloud Print experience, we recommend that you use a Cloud Ready printer. Cloud Ready printers connect directly to the web and don’t require a PC to setup. It may be harder to use an old USB printer on a Chromebook. Using a Google Could Print compatible printer is the easiest way to print on a Chromebook is to make sure you have one of the best Chromebook compatible printers. Almost all Chromebooks have a webcam. However, sometimes the default webcams on a Chromebook are not the best. 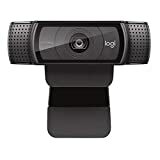 If you are using your Chromebook for video chatting, it might be best to get a USB Chromebook Compatible Webcam that will have much higher video quality and other features. So far Logitech makes the best USB Webcams for Chromebook. Instead of using the built-in track pad, you could either get a USB wireless mouse or a Bluetooth mouse for your Chromebook. If you get a Bluetooth wireless mouse for a Chromebook, make sure your Chromebook has Bluetooth. Check out these reviews of some of the best Chromebook compatible wireless mouses that operate on USB and Bluetooth. Picking a wireless mouse is largely a personal decision, so be sure the pick the best one based upon personal preferences. If you do not need that much external storage, it may be worth it to check out a Chromebook USB flash drive. These are often a fraction of the price as a fill external hard drive and they are faster than SD or MicroSD cards (when using USB 3.0). You can even find them in sizes up to 512 GB! 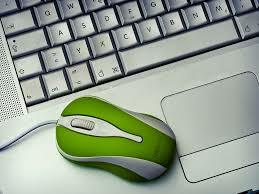 Similar to getting a USB Flash drive, not all users need a huge external hard drive. There are many SD cards that can give Chromebook users extra storage. One advantage over USB flash drives is that they can fit into the side of the Chromebook and not stick out. Some of the half-heigh or low profil SD cards work really well for Chromebook users looking to expand storage. Below are some of the best must have Chromebook accessories. Feel free to comment if you think anything else should be on this list of must-have Chromebook accessories. As Chromebooks become more popular, there will be many more accessories appearing. Below is a short list of some of our favorite Chromebook accessories. While a Chromebook is mostly a self-contained device, there are a few more things that might be useful. This includes USB flash drives and MicroSD cards. While Flash Drives typically offer faster read/write speeds at a lower price, SD and Micro-SD cards are great options on devices where they fully insert into the card reader slot, or for those that are working a lot with cameras. Many Chromebooks have SD Card Slots. However, the technology has really advanced with USB 3.0 flash drives. This might USB 3.0 flash drives a good storage option for people who do not need all the space of a large Chromebook external hard drive. Additional Google Drive storage for your Drive account, typically 100 GB for two years. This might make it easy to avoid that external hard drive for a few years. Free GoGo In-Flight Wi-Fi passes, typically 12 to be used over the next 12 months. This is usually bundled with certain Chromebooks and is a little rare. Free Trial for Google Play All-Access Music, typically for 60 days. Almost all new Chromebooks get this free trial offer. Google is constantly changing these Chromebook offers. Be sure to check if your Chromebook came with anything special!